Boys and girls of every age, it’s Halloween time! And if you want to throw an unforgettable Halloween-themed campus party, you need to start preparing right now. Of course, the dress up part of this holiday always steals all the spotlight. In order not to rush to Walmart and grab the last pathetic cat ears two hours before the party, think about your costume a couple of weeks before the actual date. You might want to do a group costume with your friends or even set a theme for the whole party, like Walking Dead characters or Pokémon. It’s always cheaper to make the decorations yourself, be it a spider web or a spooky tombstone. 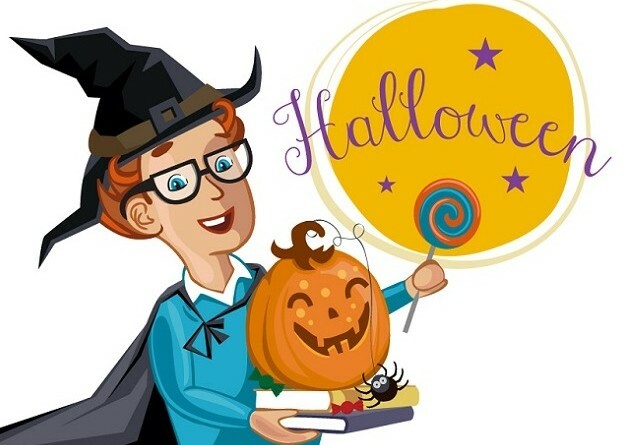 However, you can hit the thrift stores and find inexpensive Halloween items, creepy old toys and clothes that may serve as an inspiration for your costume. Almost everyone knows the cookies in the shape of severed fingers, but you can also try making cupcakes with frosting that looks like brains, blood-red vampire punch, and pumpkin cheese balls. If you have a TV, put a recognizable movie on the background to get the Halloween vibes going. You may choose from a wide variety of horror films and classics like Hocus Pocus or Nightmare before Christmas. Make sure the sound is set to the minimum and does not interfere with the music. We also have a Halloween surprise for you – use the coupon code HALLOWEEN16 when making a buyback order and get extra 7% of cash! Offer is valid until 11/09/2016. Get some cash easily and quickly by selling them on BooksRun.com. Apps available now! Previous Post Discover Columbus Day Coupon for Your Textbooks! Next Post Coupon Offer for BooksRun Apps Extended!